Who says mirrors need to hang on a wall? In this master bathroom, they hang from vertical wooden beams that make a picture window possible. 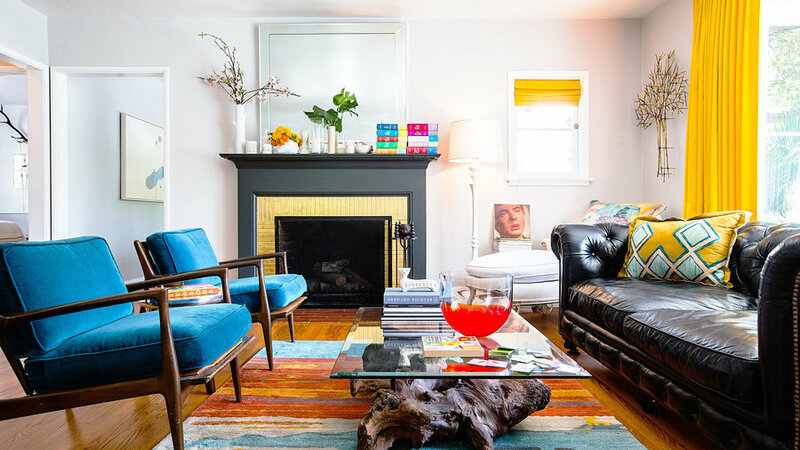 To update the standard over-the-fireplace look, choose two mirrors of unusual shape and hang them side by side. You’ll still get the benefit of light reflection, but with a little more interest. Buy similar mirrors . 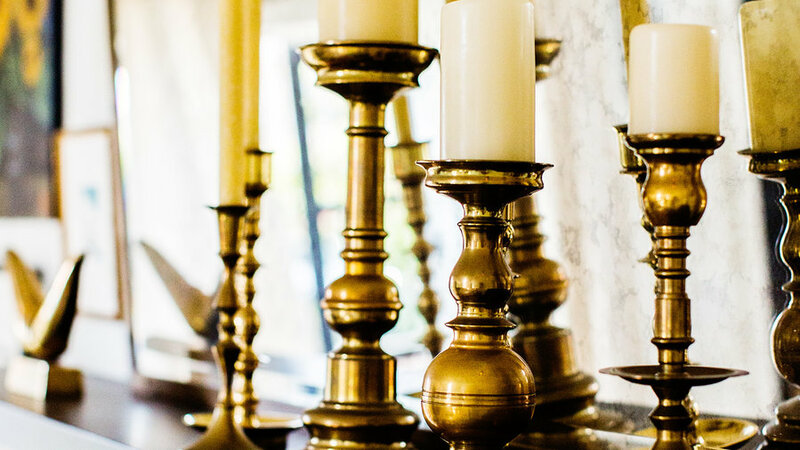 A smattering of brass candlesticks suddenly looks like a legitimate collection with a mirror visually doubling their number. The effect is even more stunning when the candles are lit. 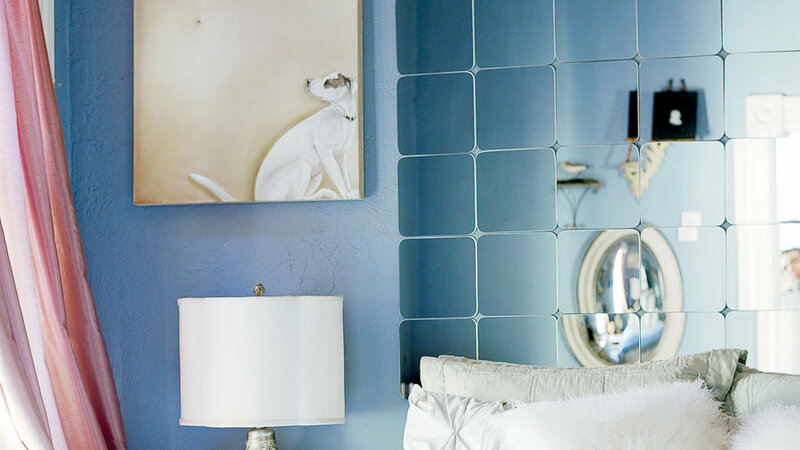 Mirrors are a great option for those places where art would seem like overkill (or get covered up), like next to the bed. 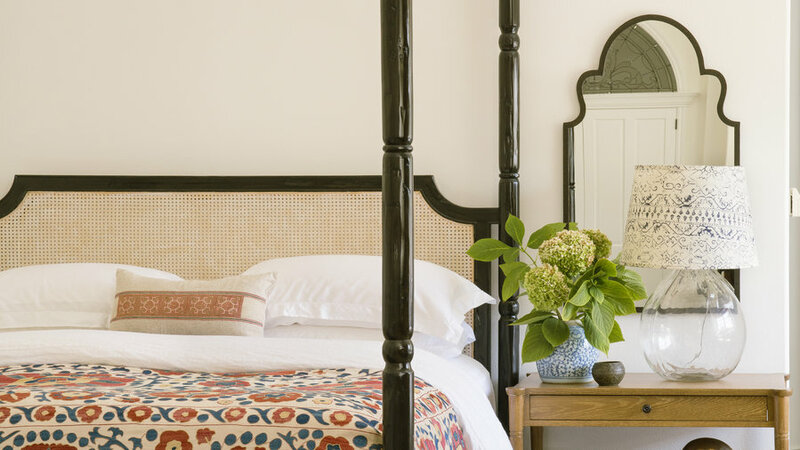 A mirror above the nightstand gives the wall a layer of decoration and it’s nothing lost if some of it is obscured. Buy similar mirror . 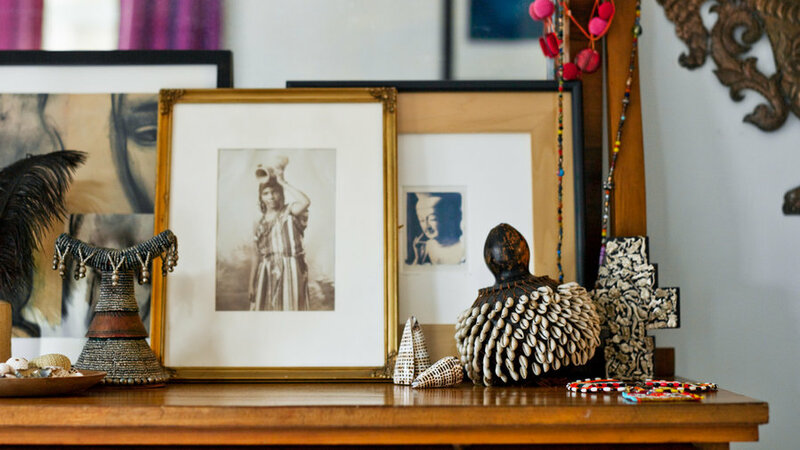 Mirrors aren’t cheap, so if you have an heirloom—or find one at a good price at a thrift or antiques store—keep it and freshen the look by painting or gold-leafing the frame. Buy a similar mirror . A mirror over the fireplace is still a great look, but make sure to hang it above the fireplace rather than lean it against the wall. When it’s propped up, all it reflects is the ceiling and, unless you have an incredible light fixture, that view is ho-hum. Sometimes it’s not about the reflection, it’s about the shine. 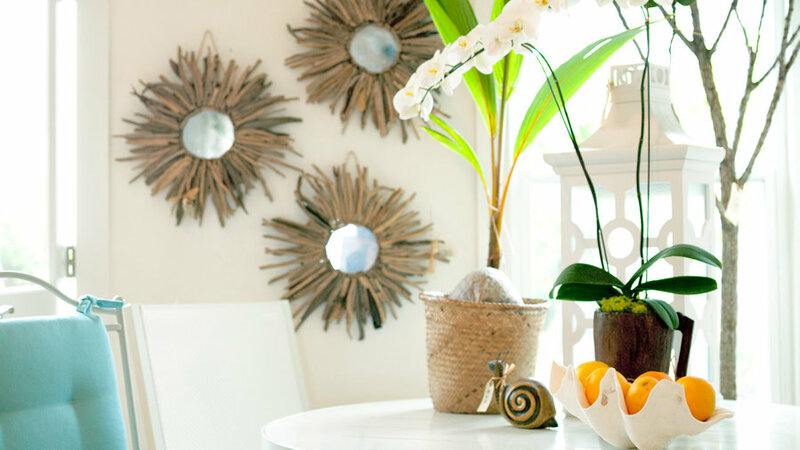 Clustering small mirrors together won’t reveal much, but they add glimmer to a wall to make it more interesting. 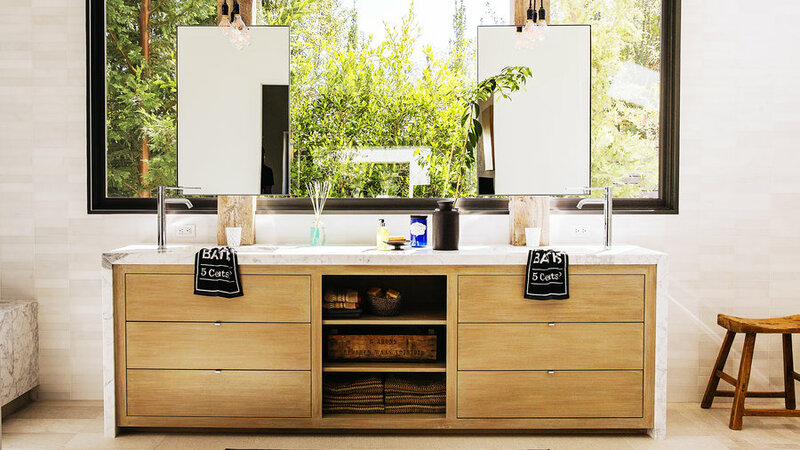 Buy similar mirrors . Leaning art in layers is the most casual way to display it, but it can look a little haphazard. The solution? Lean them up against a large mirror. The scale keeps the collection contained and is a clean background for the colors and shapes in the art. 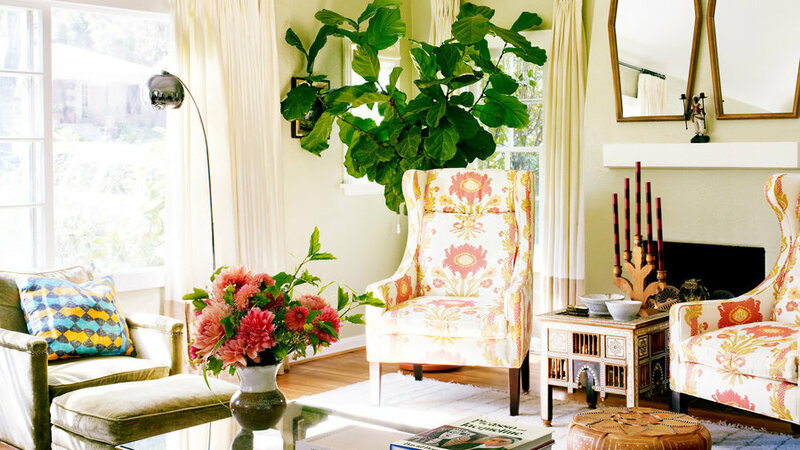 One bold item can make any room feel substantial. But who says bold has to mean expensive? 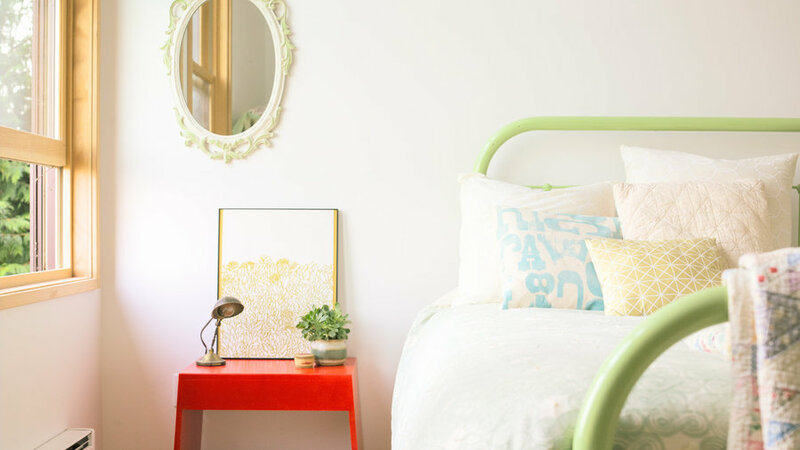 Instead of a pricey tufted headboard, Oakland interior designer Sheri Sheridan bought four-packs of miniature from Ikea to create a high-end look that also doubles as a bedhead inspector.